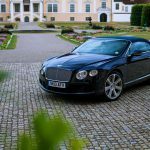 The Bentley Continental GTC W12 is one of the most expensive and luxurious convertibles money can buy. 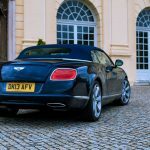 We spend a week with the 6.0 liter W12 GTC to find out what it is like to drive and explore two places with the highest concentration of Bentley owners outside of Great Britain. 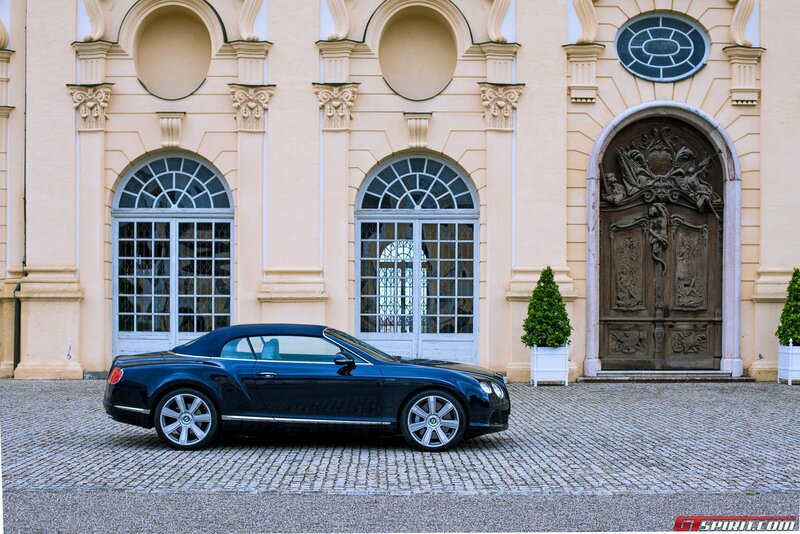 The Bentley Continental GTC is based on the Bentley Continental GT that was first introduced in 2003. 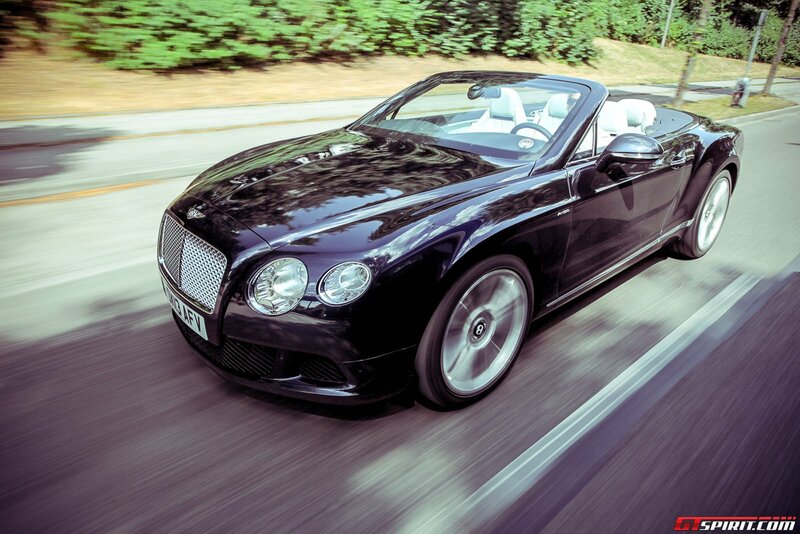 The convertible followed in 2006 and is like the GT produced in the Bentley factory in Crewe. 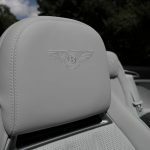 In 2010 Bentley showed the second generation Bentley Continental GT at the Paris Motor Show, a year later Bentley also unveiled the second generation GTC W12 which is the flagship convertible. 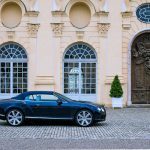 The Bentley Continental GTC W12 comes with a more powerful 6.0-litre, twin-turbocharged W12 engine, the full fat bludgeoning power plant that sits at the top of the GTC range. 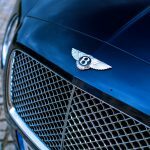 Power output is rated at a more than sufficient 567 bhp and the famed Bentley ‘wave of torque’ has been increased by a further to an astronomical 516 lb ft of torque that is enough to surge the huge GTC towards the horizon with unrelenting force that feels like nothing else in the road. The W12 engine is also capable of running on petrol, E85 bioethanol or any mix of the two from a single tank. This FlexFuel technology is capable of delivering potential CO2 reductions of up to 70 percent, a great achievement and pioneering technology for a class in this luxury/sport sector. To ensure that the power and torque generated remain constant, regardless of the mix of fuel, an advanced Fuel Quality Sensor continuously monitors the ratio of the fuels used. It then guides the Engine Control Unit to adjust the engine’s timing. This provides the seamless power delivery for which Bentley engines are known for, and ensures there is no compromise on performance when using fuels that create lower CO2 emissions, a win-win scenario! Linked to the creamy W12 that drips torque and oozes power is a brand new and very effective ZF 6HP28 transmission with ‘Quickshift’ system that cuts shift times by up to 50% and enables double downshifts giving the engine a transmission that is able to not just handle the engines output, but add a much needed sporting feel to the car, although the paddles behind the steering wheel still seem to be a little to far away from the drivers hands. 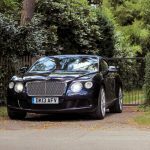 This heavyweight is potent off the line courtesy of Bentley’s revised all-wheel-drive system that splits torque 40:60 rear-biased. 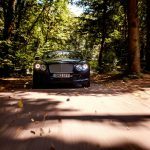 The combination of the new transmission and the W12 as you would expect produce some rather stunning performance figures given the GTC weighs over 2,500 kilograms! 0-100 km/h is dispatched in 4.8 seconds but at these speed the GTC is just getting into it’s stride. 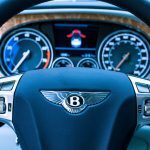 0-160 km/h flies by in 10.9 seconds and then the Bentley comes into its own and will push it’s way to an impressive 314 km/h. For a car that is as much about comfort as it is about performance, suspension is a crucial area of development for the GTC. As with most convertible cars, the open-top experience is achieved at the cost of the cars structural rigidity and the GTC is no different. The Bentley engineers have enhanced body stiffness for superior ride quality and refinement.The cars track widened by 48 mm (rear) and 41 mm (front) and Bentley revised suspension design to improve dynamic handling. As a result the GTC convertible body is the stiffest in the world (22,500 Nm /°-static) providing a firm foundation for the precise control of suspension components as well minimising scuttle shake, benefitting refinement and poise when the car is being pushed. This is achieved by reinforced ‘A’ posts and sills, and twin underbody cruciforms that connect the front and rear subframes. The latest iteration of the GTC has pushed the envelope in terms of design and development. 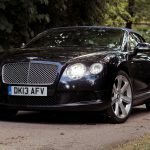 As expected the car is very similar to its coupe partner,the second-generation Continental GT Coupe, unveiled to universal acclaim and almost a year ago. Many of the GT’s striking styling cues have been transplanted into the GTC, and the result is a progressive, sculpted and dynamic exterior body. The sensuous and synonymous lines are familiar but the overall package is significantly revised. The new model has a wider track and is slightly longer. 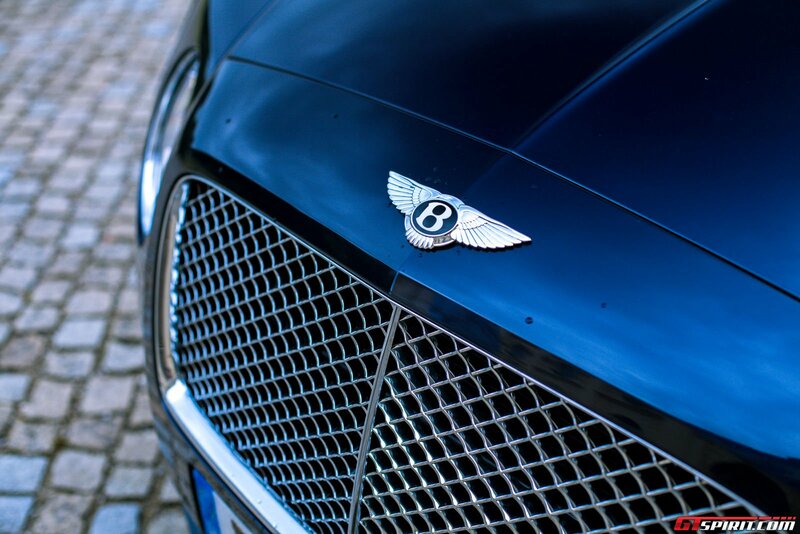 The classic Bentley matrix radiator grille is framed by a striking and all new headlight design, in Bentley’s traditional four-lamp format, with delicate jewel-like detailing including eye-catching, LED daytime-running lights. The seven-bow, three-layer fabric roof is available in eight colours, each of which suit the endless choices of exterior colours that the GTC can be dressed in. Folding and rising in just 25 seconds, its smooth and graceful operation works at road speeds of up to 32 km/h meaning driver and passengers can be sheltered from sudden downpours in a jiffy. 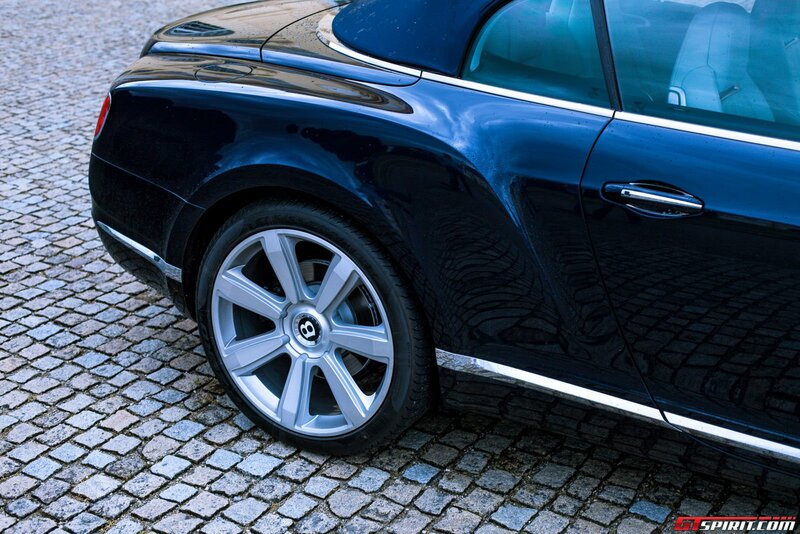 As ever the Bentley beauty and build quality is not exclusive to the exterior of the GTC. 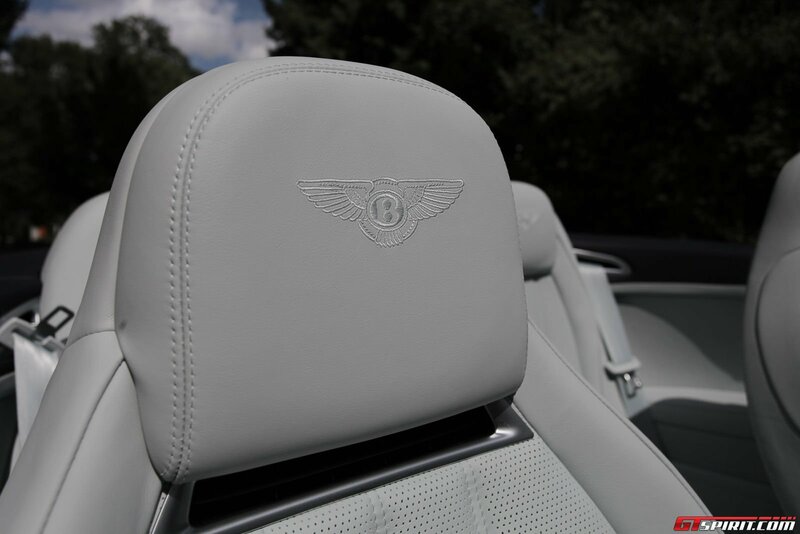 The interiors most striking features begin with the instrument panel and dashboard, which subtly echo the flying wings of the Bentley badge while the unparalleled craftsmanship extends to the hand-stitched, leather hide tonneau cover at the rear. 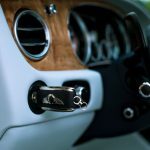 There is a choice of 17 standard soft-touch leather hide colours with six colour split combinations, complemented by a range of seven veneers, all handcrafted in Bentley’s unique workshops at its factory in Crewe, England. 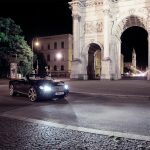 We start our journey with the Bentley Continental GTC W12 at the Bentley and Aston Martin dealership in Munich. Here a shiny dark blue example of the GTC W12 is waiting for us. The weight of the doors leaves a first and lasting impression, it is so heavy that you wonder if we received the keys to a bullet proof version. That’s not the case, the doors weight is part due to the luxury nature of the GTC with extra thick isolated windows and leather and part to offer additional stiffness to the convertible. Get in and start the engine and the W12 comes to life without much drama. 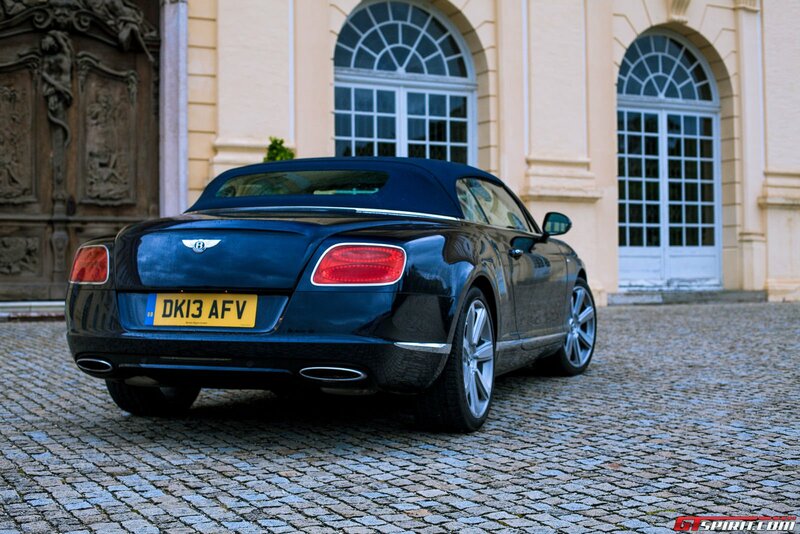 Despite its impressive engine the Bentley Continental GTC W12 is not a screamer. It has a very sophisticated tune both in idle as under pressure. Push the pedal down and you can hear the 12 cylinders at work without waking up your neighbours, lift throttle and you hear a very silent but heavy drum. We would have enjoyed a bit more volume or a switch to make the exhaust heard, but on the other hand it suits its character as gentlemen’s cruiser. 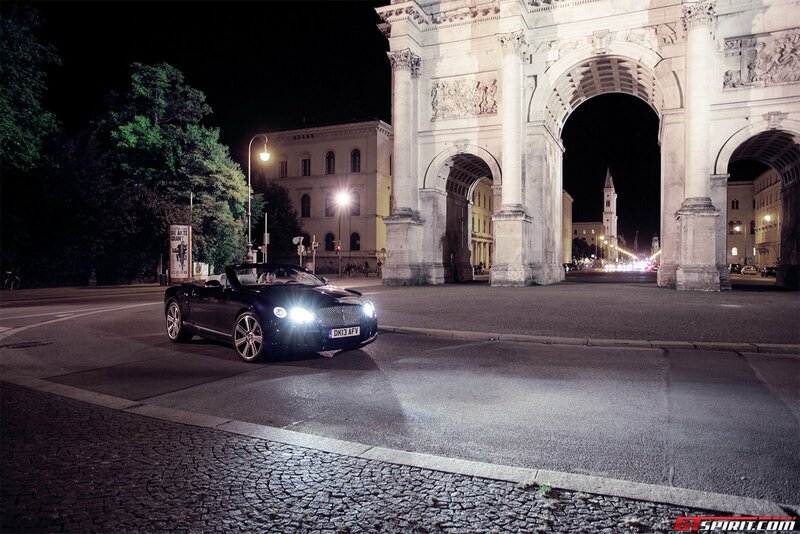 In the center of Munich the Bentley GTC W12 gets little looks or attention when you drive by, but park up somewhere and the connaisseurs flock to the GTC to take a closer look. 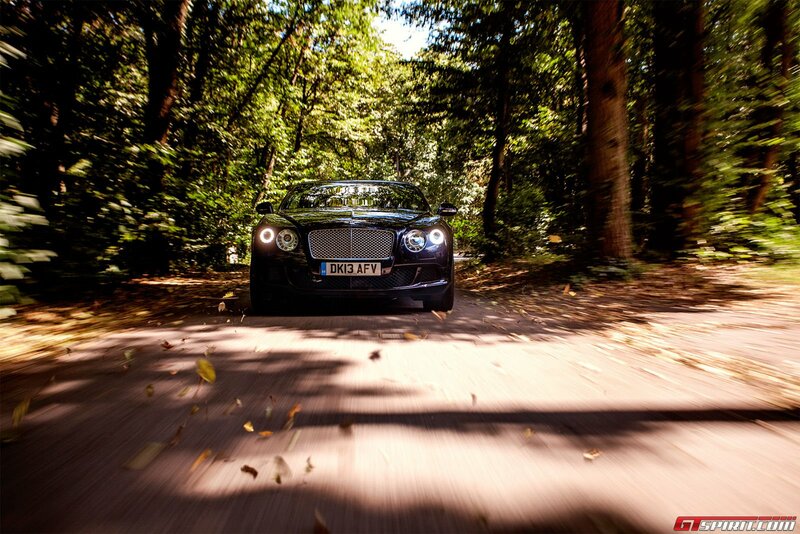 We leave Munich for what it is and steer the majestic nose of the Bentley towards Austria. In town you realize how big the Bentley is, luckily the park distance systems make parking easier and the Bentley logos make other people keep just that little bit extra distance. 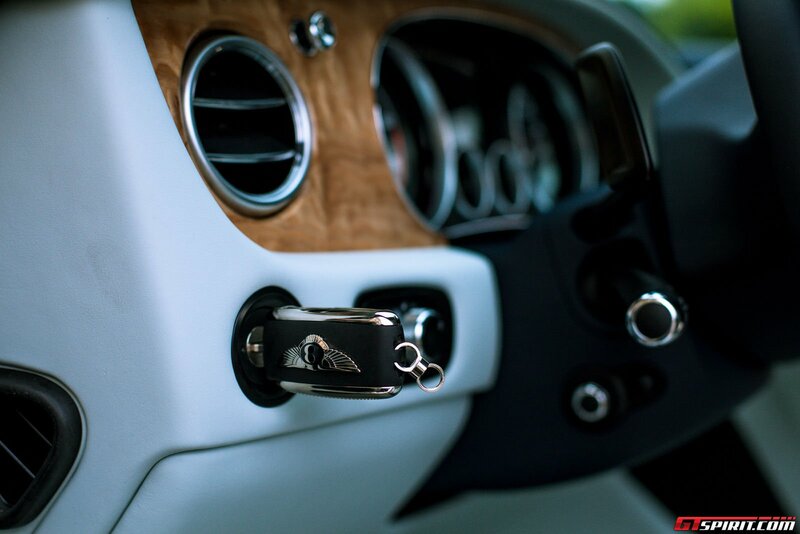 Out in the open the Bentley is all about comfort, the seats are spacious and make long journeys a pleasure. Thanks to the excellent noise isolation you don’t have the feeling you are driving a convertible at all with the top up. Drop the top and you even have an air scarf that blows warm air into your neck from behind. 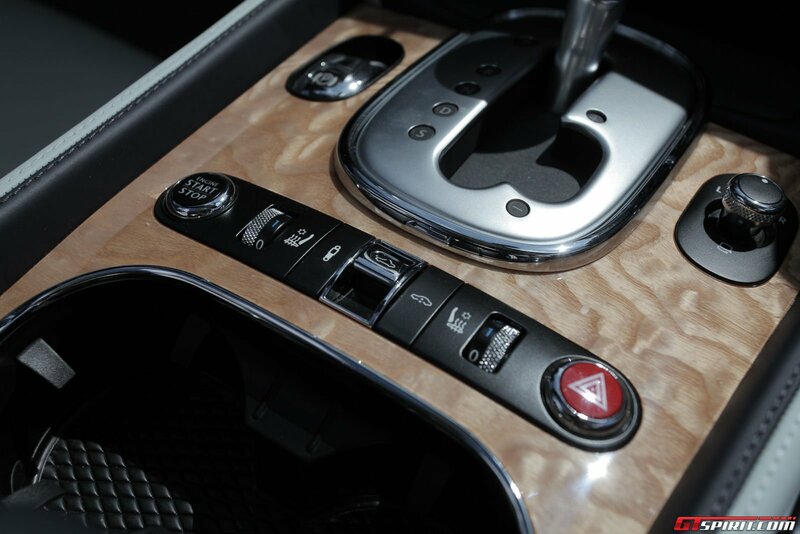 The interior in general is finished with the highest quality materials and with the highest attention for detail. 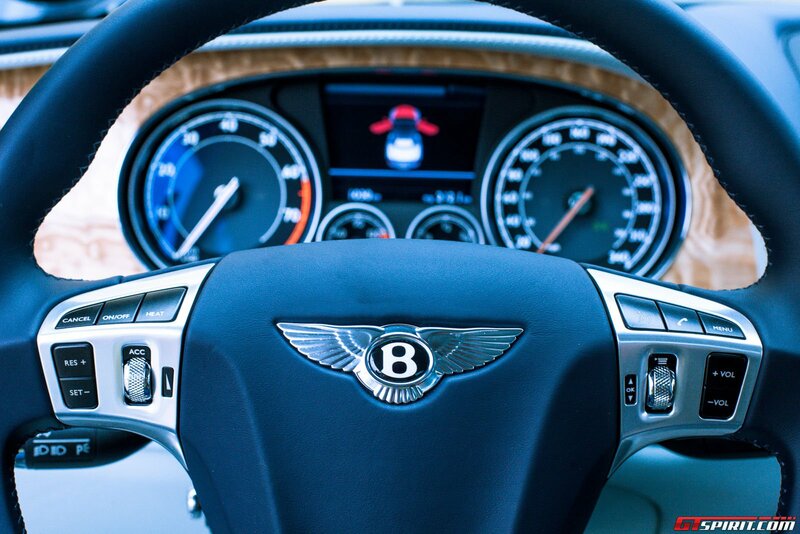 It is this that clearly sets Bentley and Rolls-Royce apart from the rest. The suspension takes all bumps and rough roads with ease. All this luxury and comfort also has a price though, the Continental GTC W12 weighs well in excess of two tonnes. This obviously has effects on the fuel economy but even more importantly on the handling. The GTC W12 dives forward under braking and swings backwards under acceleration in a way we have never experienced before. The cornering abilities have improved compared to the previous generation but the Bentley GTC W12 is still not a sportscar. 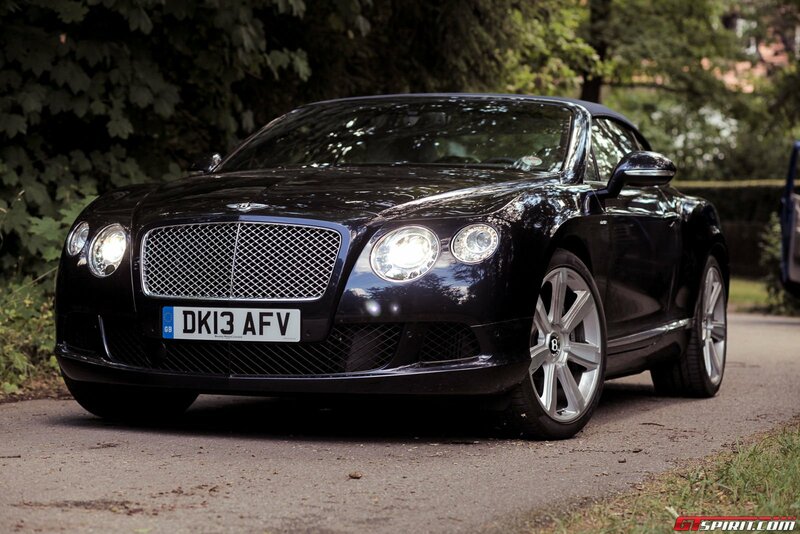 If you do like a more sportier drive style we recommend the GTC V8, which is much lighter and more agile than the W12. The true strength of the engine is the effortless acceleration from zero to its top speed. On the German autobahn the W12 shows you immediately where it feels at home. 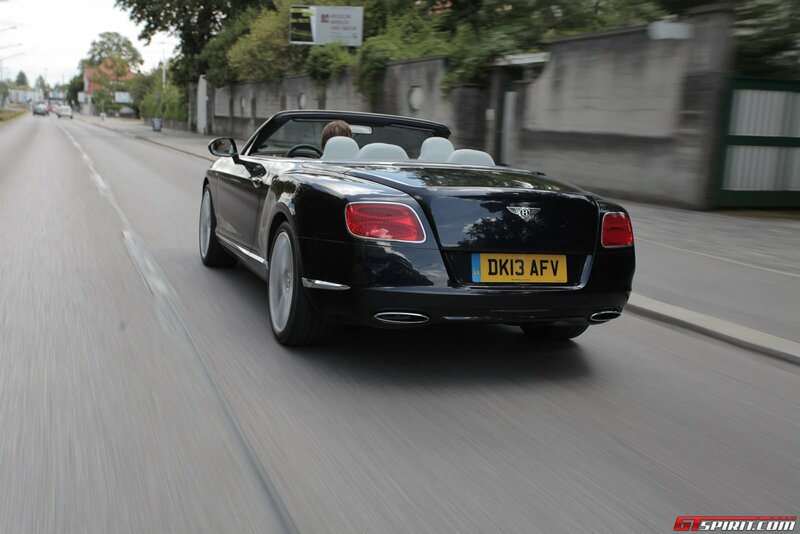 The ZF 8-Speed gearbox responds quickly, smooth and suits the W12 perfectly. The GTC can be ordered with most modern safety and comfort features like adaptive cruise control. 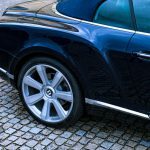 Bentley, as part of the Volkswagen-Audi Group, uses various systems from its partners VW and Audi. 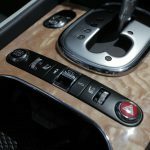 This makes the systems easy to use and very reliable but also means they are not as cutting edge as the flagship models of Audi, BMW or Mercedes. Across the border into Austria we leave the motorway and head for the town of Kitzbuhel. 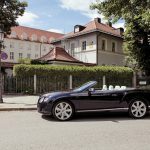 Upon our arrival on a random Thursday afternoon we find not one but two other Bentley GTCs parked in the center of this rather wealthy town. Parked up next to the previous generation GTC you can clearly see the subtle but refreshing overhaul the GTC received in 2011. 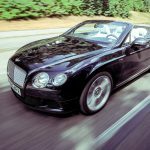 How does the new Bentley Continental GTC compare to its predecessor? All of these changes have shifted the second generation W12 GTC into an entirely different era from the first generation car. The car looks a lot more purposeful, more muscular and sporty. Performance has been much improved, the new car is lighter and more powerful. The older car was criticised for its wallowing body roll and chronic understeer part due to the 50:50 torque bias and lack of rigidity that has certainly been addressed in the second generation car. 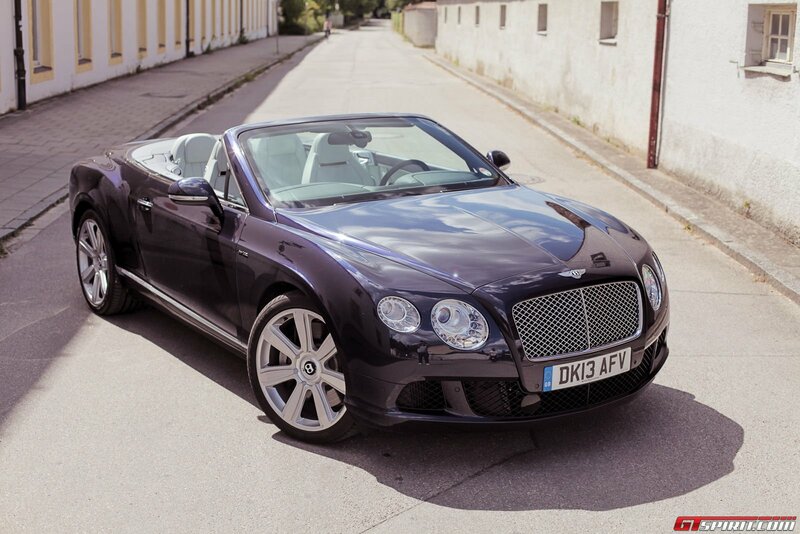 As far as luxury convertibles go the Bentley Continental W12 GTC plays in a league of its own. 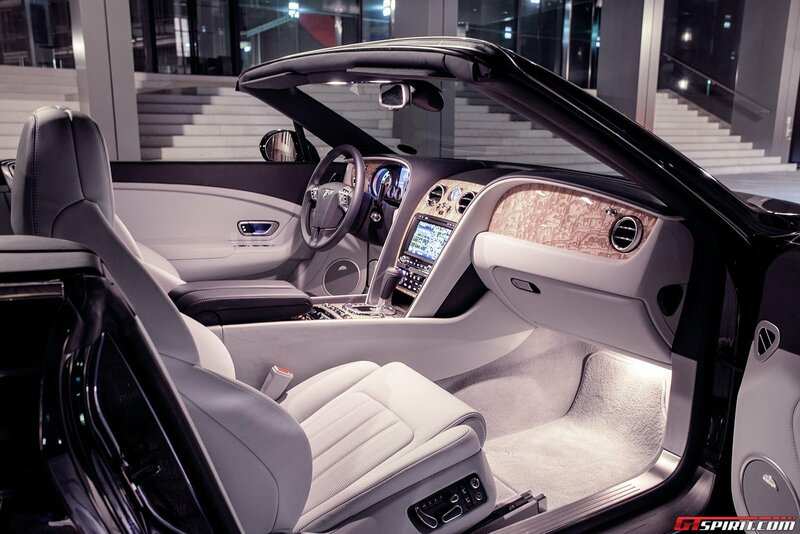 Only the Rolls-Royce Phantom Drophead offers more prestige and luxury than the GTC W12. But therefor also carries a much higher price tag. 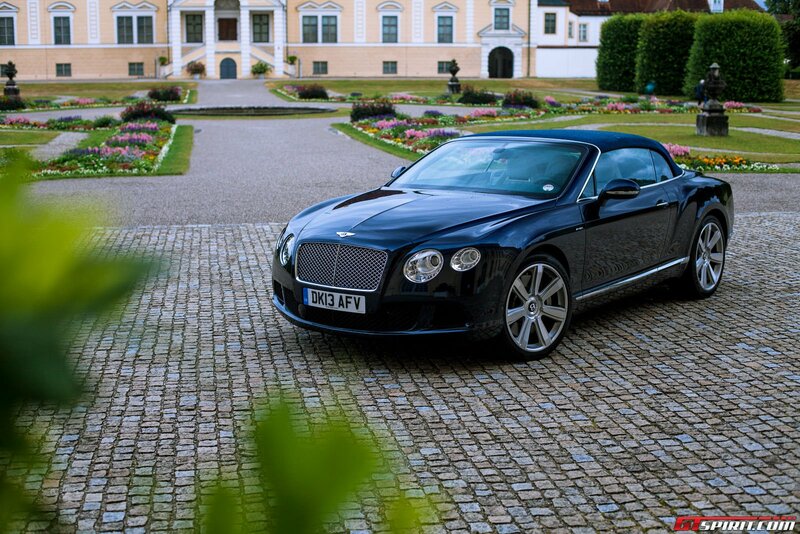 The Bentley Continental GTC W12 is the ultimate convertible gentlemens cruiser. 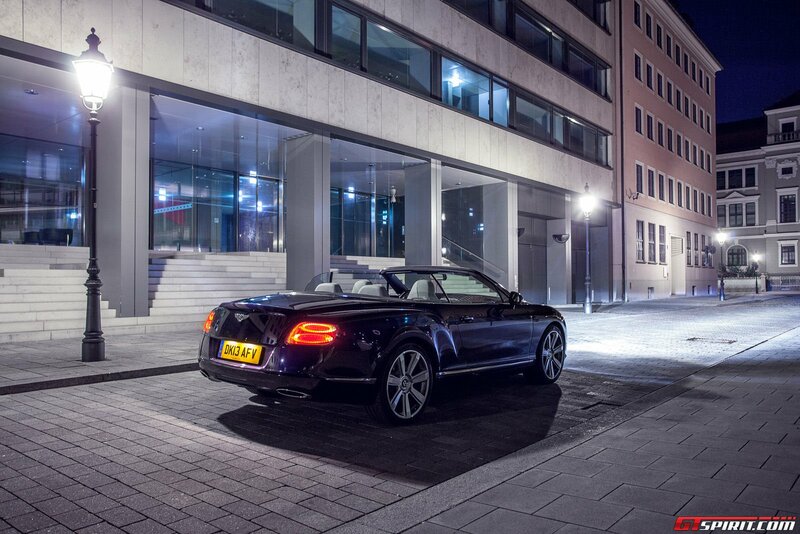 Every little bit of the GTC breaths luxury and prestige from the W12 engine to the interior. But due to its high weight the V8 model is more suitable for those customers that enjoy a nimbler and sportier ride.